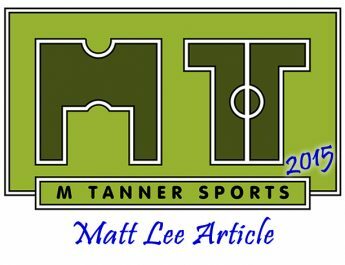 After watching a young Bath City side overcome Western League Shepton Mallet, it prompted me to put down a few words about the game, the cup and the new players on show. It’s not often people get excited about the Somerset Premier Cup or lower league opposition but this game was slightly different. 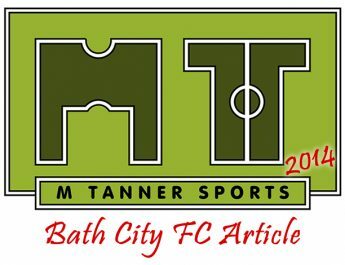 If you’re a Bath City fan at the moment you’ll most likely be talking about the club statements that have been released in the last two weeks. 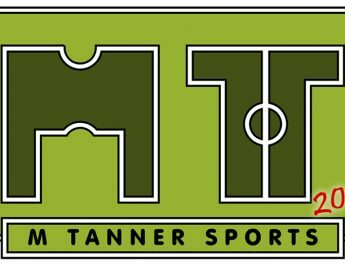 The board came out and said they would look at completely re-vamping the club from top to bottom following the FA Cup 7-1 defeat to East Thurrock. So naturally it go me thinking… what would I do. 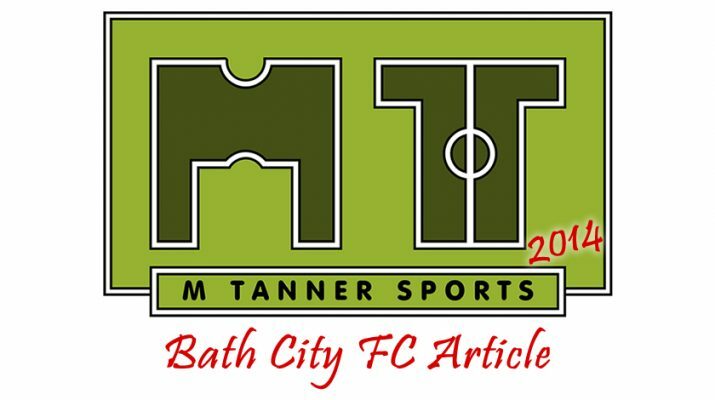 I began to draft an article looking at every aspect of a football club in general and what everyone’s role is, then to compare it to Bath City. However just one and half weeks later our board already had the answer for us. Now this is where it gets a bit strange, from looking at the club from top to bottom they have decided to back the management and just ask for more money from the fans. There is a large debt that needs to be paid and so they are now looking to sell the club. That is the long and short of it, but what has this got to do with a Somerset Premier Cup game against Shepton? Well due to work commitments on the day of the latest statement, Sat 8th, I couldn’t travel away to watch the 0-0 draw with Ebbsfleet. That left Tuesday night as the first chance to watch City in action since the statement was released. After all the doom and gloom on the Fans Forum and on social media it was nice to get back to the football and see what our younger players have to offer. We might be needing to use them sooner rather than later if the club need to raise large amounts of money quickly. Shepton are traditionally a very well supported Western League Club and on a cold Tuesday night they travelled in their numbers, making up around 100 of the 128 crowd watching. In their squad they also have league experience and some familiar faces. Joe Burnell and Ryan Mitchell were actually training with Bath at the beginning of the season but decided to move on. Also Ben Cleverley was on the books with City in the early 2000s along with his brother Danny. In goal for them is the formidable Steve Phillips who has made hundreds of league appearances with Bristol City and Bristol Rovers having only just dropped out of full time football. Burnell didn’t feature on the night but it was still a stern test for City and their mix of senior players coming back from injury and young players making their first few appearances for the club. Phil Walsh, Frankie Artus and Chris Allen were all looking to gain match fitness after long lay offs, with Danny Ball playing due to his suspension coming up on Saturday. Nick McCootie and Ashley Kington also played to try and regain some of their sharpness, with the experienced player/coach Jim Rollo getting a rare 90 minutes. This is exactly the type of squad I wanted to see for a county cup competition, it had just the right amount of experience in the side to keep the game competitive and to help bring on the rest of the team. It can only help the younger lads to bring on their game and give them confidence; playing alongside the likes of Artus and Ball. Josh Barrington – GK – He played the full 90 minutes and despite his slip early on he looked solid enough and could handle everything that was thrown at him. The goal wasn’t his fault and his reaction was quick enough to try and get across the far side of his goal. His kicking was solid for most of the night and he could just about do a job in goal for City should Jason Mellor get injured. His overall footballing level isn’t up to Conference standard yet but with another season or two going out on loan he should be ready enough to test himself higher. 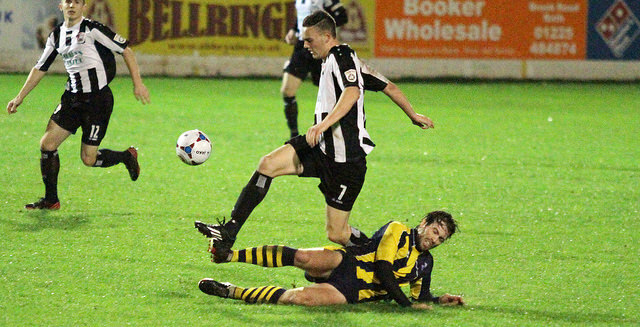 Sam Higgins – FB – His cross lead to the first goal and he liked to get forward to help support the attack. He also liked to cross from deep with a good range of passing on him. He is around 6 foot and tried to use his strength to hold off challenges in defence and attack, in a season or two he could well be coming off the bench more for City. Ryan Bole – FB – The tall full back was similar to Sam in his eagerness to get forward but he tried to find a pass to get the midfielders in play more. He is clearly proud to play for Bath City, after his tweet to the official page, having completed two 90 minute senior games in this competition. However he was given a torrid time by Ben Stone who had the better of him in the first half, but his second half performance was a little better. He is still young though and given 2-3 years he will have a lot more experience and won’t be beaten so easily. Elliot Gibbons – Mid – Gibbons looked promising in pre season and the tail end of last season. Those few extra games at senior level has helped and he has been loaned out on a dual registration this season too. It was a quiet game for him but he did almost score with a great drive from range forcing a good stop from Phillips. It won’t be too long until you see him coming off the bench for City towards the end of this season as his development continues. Sam Kamara – Mid – Unfortunately an injury cut his game short to just 15 minutes. He certainly looked quick enough and it’ll be interesting to see him play a longer role in the Quarter Finals. Louis Perry – Mid – He replaced Kamara and did very well. He has featured in the league for City already this season with brief cameos but this time he played around 75 minutes and always looked to get on the ball and take the game to Shepton. It wouldn’t surprise me to see more of him as the season goes on and should certainly get a start or two in pre-season next year. James Stinson – ST – The slight striker did well in his 15 minutes and could have easily had a goal or two. Latching on to a through ball after just a few minutes on the pitch the youngster certainly knows where the goal is. He was also desperately unlucky not to connect with a Kington cross in the dying minutes. He is another player that given the right loan spells could be coming off the bench next season after a decent pre-season back with Bath. So Bath have some promising young players in and around the first team at the moment and you’ll get another chance to see them in the next round if not before. Bath are at home this Saturday (15th) against Maidenhead so make sure you come on down and get behind the lads as they look to climb the Conference South!